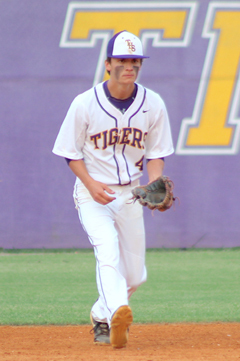 The "do or die" scenario applies for the Tallassee High School baseball team this week. It's win or go home. The Tigers control their own destiny in an upcoming series with Brewbaker Tech, the final area games of the season. If Tallassee wins the first two games, they advance to the playoffs. If the Tigers split, they will need some help. A sweep by Brew Tech would knock THS out. The Rams are not out of th mix either. In fact, post-season hopes are still alive for every team in the four-team area. Beauregard leads the overall standings with a 3-1 record in Class 5A/Area 4 play. Valley and Tallassee are 2-2. Brew Tech is 1-3. If the Tigers split the first two games with the Rams, they will need a Beauregard sweep for a playoff berth. Tallassee can only make it in as a runner-up. Both Beauregard and Valley won tiebreak games against the Tigers. (Left to right): Bruin Hathcock, Reece Graham, Beau Baker. Beauregard needs just one win against Valley to win the area. The Hornets could still make the playoffs as runner-up in the area with a split in the Tallassee/Brew Tech series. Valley would win the area with a sweep. They also make it in with a split and Tallassee loss. 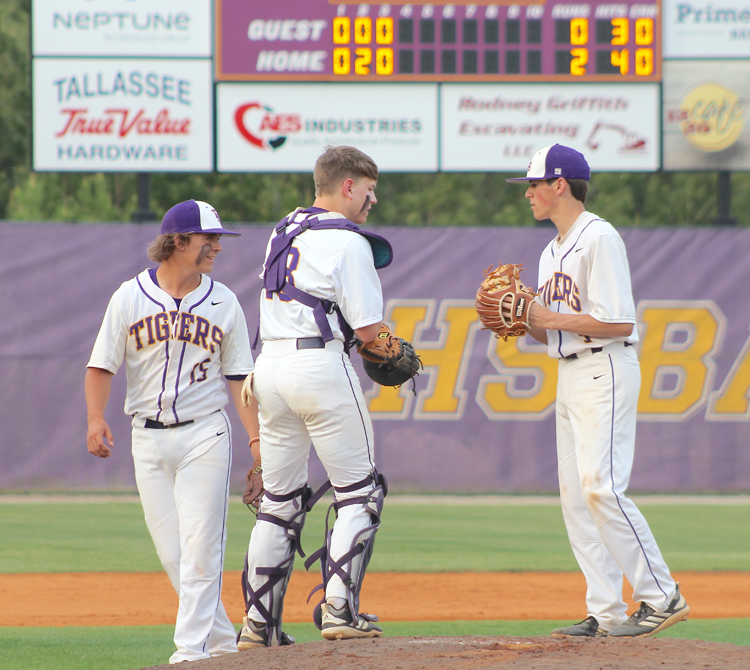 Brewbaker Tech must sweep Tallassee and hope for a Beauregard sweep to extend its season. Tallassee (8-15) plays in Montgomery vs. Brew Tech (9-10) on Thursday, April 11 at 4:30 p.m. A doubleheader against the Rams is scheduled for Friday in Tallassee at Southside Field starting at 4:30.